Q: How long is the online ESP program? A: The ESP program is over 50 hours of audio recorded instruction broken down into 33 sessions. Q: Do I get immediate access to all sessions? A: Each lesson builds on the other in order for you to get the most out of the class. Therefore, yes, you get access to all lessons. This ensures that you go at your own pace. The original course was taught over a 10 week period, twice per week. A: The main purpose is to help you create a successful business plan in order to create a successful business. Whether you are starting a business, or need to grow your business, the ESP program will help you succeed. The business plan is completed whether you need funding or not. Your plan will help guide you to business success as long as you implement it correctly. This course also goes beyond the business plan. You learn the A-Z of running a successful business. Q: Is this course only offered online? A: Yes. This is a recorded version of an actual class full of students. You’ll listen to all recordings as if you were part of the class. When you have questions, you can reach out to your local SCORE Chapter mentor at no charge. This is truly the best of both worlds. Online education with offline face-to-face instruction by a living human being. Q: Are the facilities where the classes held differently-abled accessible? A: Yes. It’s online, so you attend at the comfort of your own home or office. If you need to see a SCORE mentor, and can’t physically make it to the Chapter’s office, there are plenty of SCORE volunteers that will help through video conference, email, or phone consultation. Click here for the Chapter closest to you. A: Tuition covers your audio education, handouts, classroom material, online private resource area, and certificate at the end of the course. All you need is willingness to learn and implement. Q: What type of support do I get after the ESP course? 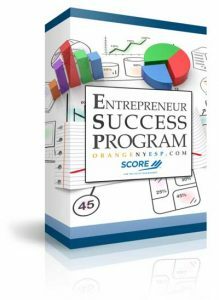 A: In addition to the online course, you will also receive ongoing business mentoring through the volunteers at SCORE. Q: Who can get access to the ESP online course? A: The program is specifically designed for start up entrepreneurs, and existing small business owners. A: Click here to enroll now. We accept Visa, MasterCard, American Express, Discover and PayPal for tuition payment.